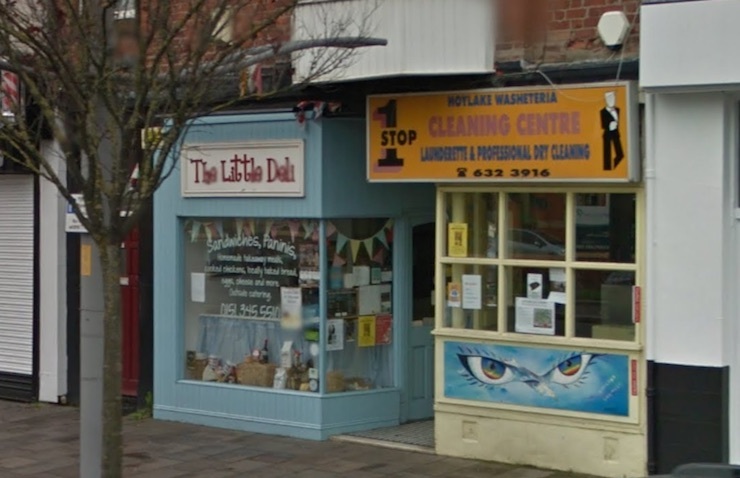 Two local, independent businesses have closed their Hoylake shops and relocated to West Kirby. Seagrass Studios has moved from The Quadrant and is now open and trading from Acacia Grove in West Kirby, with the empty shop now up for sale. The Little Deli closed at the end of January and is relocating to a yet unnamed shop in West Kirby according to their facebook page. The reasons for the relocations are not known and of course could be varied. So Hoylake loses two independent traders and gains two empty shops. If they (and that could be you) choose to, existing customers of both of these businesses can continue to buy their products from their new premises a mile or so up the road. So you don’t have to miss out if going to West Kirby isn’t a chore. Losing the last remaining bank in Hoylake was (and still is) a pain for a lot of locals, this perhaps is different? Hoylake’s loss is West Kirby’s gain maybe? On the flip side, there are now two vacant shops ready and waiting for new opportunities. Banks can become dentists, a butchers shop can reopen as a butchers again. And it’s not really an everyday occurrence for businesses to move from one end of Meols Drive to the other (in either direction) is it? What shop would you like to see in Hoylake? Maybe you have dreams of starting your own business in Hoylake? Or if you do, maybe you’d you pick West Kirby instead? If so, why? Maybe they moved due to closure of the banks? Can’t nip to Hoylake to go the bank and grab a sandwich now, or change finding a painting in the window of a shop as you walk to the bank. Maybe that’s why the newer shops that are in Hoylake tend to be destination shops now. Well planning applications have gone in for a Dominoes Pizza shop at the now closed again Bodega and a new Fish & Chip shop in the last empty unit next to the Auction rooms opposite the cottages on Market Street. Sadly Hoylake Village is starting to look ever more like the poor relation compared to West Kirby. You only have to look at the shops. Losing two gems like The Little Deli and Sea Grass studio is proof enough. There are already enough tacky fast food outlets surely without Dominoes Pizza joining in. I don’t see 2 empty shops as being a positive by any stretch of the imagination. I have to say that shop rents in Hoylake are very high. I run a wedding couture business from first floor premises in Hoylake. That works for me but shop front rentals are so expensive. What about a beautiful Flower shop? 2 of Hoylake’s gems have closed! The short sighted view of landlords amazes me. I understand that Little Deli was paying £9000 a year in rent and presumably the landlord will now want more! So Hoylake has gained a Subway (all food freshly prepared off the premises) and a planning application for a Domino’s franchise. This will offer (judging from the leaflet stuffed through the letterbox) a large pizza plus a chicken ‘side’ plus a ‘sumptuous side’ plus 2x 500 ml of Pepsi or other soft drink (Each bottle has more than 50 g of sugar which is more than the individual recommended daily rate) for £19.99 (£20 in real money! All this stuff made from non local ingredients. Are people really that silly to stuff themselves with this gross amount of calories? I will continue to make meals from local shops supplying good ingredients – Hoylake Fisheries, Robinsons Butcher, Three Sisters Greengrocers and Fahys the fab bakers! Dominoes is probably better than leaving bodega as it is! You don’t have to eat their food if you don’t want to! Pizza magic will still carry on, they are much cheaper and have a niche. On my opinion their food is dreadful and uses cheap ingredients that I bet are not bought in Hoylake! Let’s be positive! Hoylake now has a great alternative tea shop – 9 leaves – and a fab tattoo parlour! Hoylake residents do have to get out and use them though. 9 leaves will need to be busier for it to be a success, so get out there and support them. I really liked the little deli, but it was always very empty when I went in. See you at 9 Leaves for tea/cake/curry/beer???? I think Hoylake could really do with a nice cafe that does substantial food for weekend breakfast etc. Like Aubergine in West Kirby. 9 leaves is good. Not really sure Bank does breakfast. A butcher would be nice too. Hoylake’s economy is a mini London without the overcrowding. There is no land to build new houses,. Young Local people cannot afford to buy houses there and Potential business people can’t afford to rent Retail or Commercial Premises there. its easy to say because of greedy landlords but that is there business. Hoylake experienced a boom when the wine bars came but theyve gone, Walk down Albert Road 8 o’clock on a Saturday now its like a ghost town. There is no easy solution sadly. There is a proposal though, is there not, for a cinema complex for the Albert Road area? I don’t know where this has got to, but that would bring some life back. I imagine there will be the usual moans about car parking, noise, what might spring up in its wake, loss of an old building etc. etc. etc. So we’ll see what happens. Personally I’d quite like this as it’s what I’ve called on another thread a ‘destination venue’. The proposed fish and chip shop (if it is a fish and chip shop and not a takeaway that does fish and chips among many other things) is a destination venue – folk come to Hoylake, get their fish and chips and eat them out of paper on the front. It’s why Whitby exists (OK, there’s Dracula too but you get my drift). Whether we like it or not, I’d argue a Costa or a Starbucks is too. I don’t use them, as I only drink a short, strong espresso and Smooth does them better if I want a cup when I’m out; I’d also like the American one to pay its taxes. But for a lot of folk, young folk, a Starbucks is the place to go and folk would come from West Kirby say to ‘go to Starbucks’. Domino’s? I can’t imagine I’d call for a delivery much but in the absence of anyone else coming up with a worked-up proposal for a business as opposed to a request for the premises, then it’s a lot better than the decrepit unit rotting there at present. A vibrant and lively town requires many things, but I’ll note just this: balance in its provision, which means great independents but yes chains too. It requires an open mind that tolerates this mix and looks not to preserve everything in aspic.